Kitting out a professional kitchen can be a daunting task… but with ChefQuip we can take away this worry and give you practical solutions! We are undoubtedly the UK’s leading stockist of top-notch kitchen equipment for chefs. We have worked in the industry for over 20 years and are regarded as being the most reliable supplier of chef equipment for sale in the UK. We only sell premier products with a proven track record. Our appliances are heavy duty and manufactured to high specifications. Quality is at the heart of everything we do. Our online chef equipment store offers the reassurance of respected brands and trust-worthy warranty protection. We stock a fabulous range of kitchen equipment for chefs. Following the huge investment, we maintain stock levels so that our customers never have to wait unreasonable periods of time before their product is available. Customer service is excellent and we are very happy to deal with any queries. 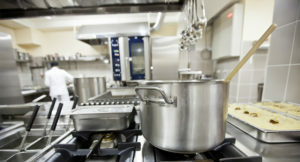 High capacity kitchens across the UK buy our kitchen equipment for chefs. This includes restaurants, pubs, bakeries, cafés, schools, and hospitals. We are a name you can trust and the best place to find kitchen equipment in the UK. What all of these prestige brands have in common is their longstanding reputation for high standards and customer satisfaction. We are confident that they are unparalleled when you look across the board at kitchen equipment for sale in the UK. Please take a look through our informative and well-illustrated online chef equipment store. Our sales team is always on hand to offer advice, both before and after sales.